Today the US House of Representatives passed HR 6784, the “Manage Our Wolves Act” despite public opposition from constituents, scientists, hunters and business owners. WILDLIFE DAY AT THE CAPITOL! 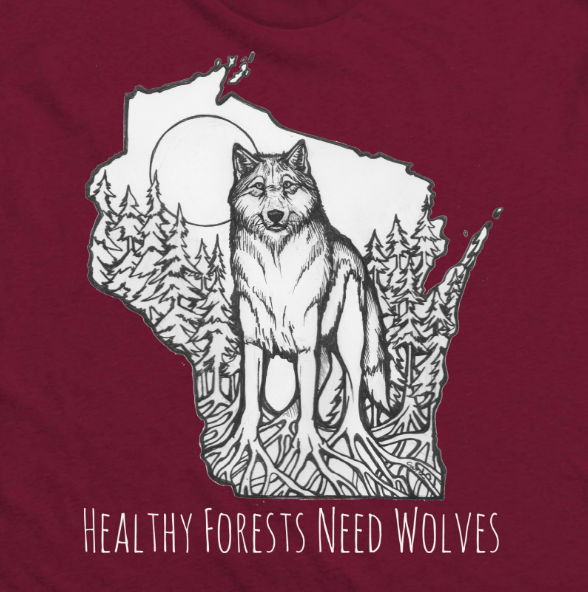 On April 11, 2018 hundreds of wildlife advocates in Wisconsin, Michigan and Minnesota gathered in solidarity at their state capitols to meet with lawmakers and speak for wolves and wildlife in the Great Lakes region. Imagine Wisconsin losing a potential 168,000 jobs and $17.9 billion in consumer spending. If the policy “rider” that aims to de-list Great Lakes wolves is included in Congress’s budget bill, Wisconsin could see a severe drop in these numbers. Wolves are vital to our economy in both direct and indirect ways. Join us in solidarity with Michigan and Minnesota to meet with your state lawmakers and discuss how wolves are an essential balance to our ecosystem. All attendees will receive a FREE original art Wildlife Day t-shirt!